Like I said, I wanted to pick up the most unique brush in the line. I don't have anything else like this in my collection. 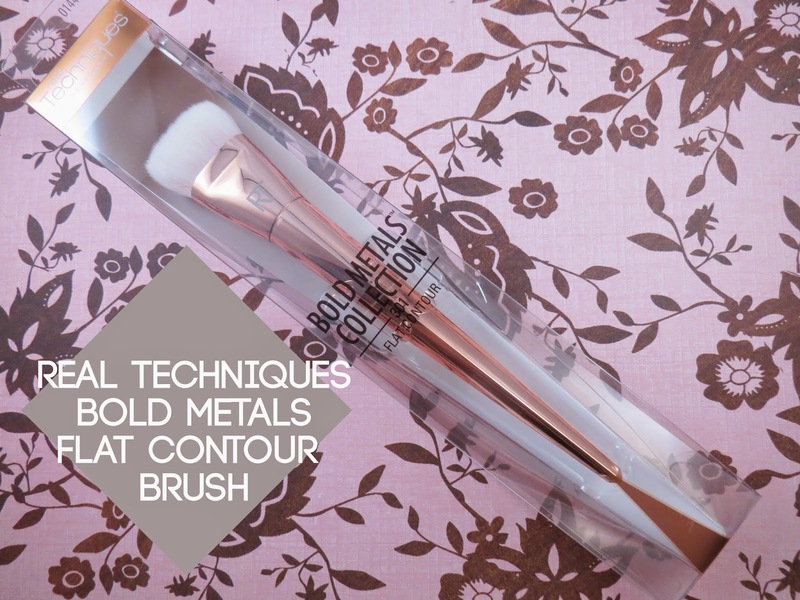 It's a brush that allows you to create a sharp contour line. This brush is sooo dense but soft. It works perfectly for placing the contour but you do have to be careful because it can hold alot of product. I find that I have to use the sides of the brush more than the center. It's much more easier to control the brush when at a angle than using the flat center, which is hard because my insists tell me to use the center. I would not recommend using this to blend out the contour. It can start to look too angled and harsh instead of looking like a shadow. After placing the contour I do have to go in with a different fluffier brush to blend the contour. This will give me my ideal contour look. The brush feels comfortable to hold. It's take up much less space than the original RT brushes because of the thin handle. It has a bit of weight to the brush, which is interesting. I don't know if it's necessary or not but it does give you that "sturdy" feeling about the design. The color.... ahmigwad the rose gold is to die for. I wish all my brushes could be this color. The brush hairs are super duper soft and white. The white is helpful because you're able to assess how dirty your brush is from a glace, unlike the original RT brushes which are black. All and all, I would say this brush isn't a must have. If you're a fellow beauty lover, it's unique and different enough to justify a purchase. This brush can be purchased at Ulta and thankfully can be used with coupons. For myself when it comes to how I contour, I'm super lazy. I want a natural, non sharp, but still present, contour that's achievable with one brush. This does not do that for me. I've used this on and off for the past month and a half and I tend to not reach for it anymore. There are other brushes that I prefer that do it all for me. The over all shape and design of the brush is super beautiful. It's great to have this is my collection but it's nothing that takes the cake for me.